In 2016, the real estate sector in South Africa recorded a 55,2% increase despite the country's challenging economic situation and low rate currency. According to the real estate consulting firm, JLL SSA; real estate investment growth recorded in 2016 in South Africa is the highest in the past five years. All of which proves that investing in real estate market in South Africa is never disappointing. It is safe to say that South Africa's real estate market has proved to be resilient to the tough economic conditions. And regardless of the economic state of the country, there will always be people who are interested to rent and buy; which means South Africa's real estate market is filled with vast opportunities. If you are still not sure or hesitated about investing in the real estate market in South Africa, then check out this article and you will definitely own a piece of property there in a heartbeat. 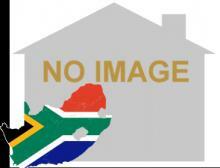 Here we give you the top 10 reasons to buy a property in South Africa. Unlike another type of investment, real estate investment is always the safest option. History proved that real estate has outperformed other types of investments, which is why it is always advisable to diverse your investment portfolio and invest in real estate. The shortage in affordable housing makes South Africa appealing for savvy real estate investors searching for long-term profits. Since affordable low-income housing has been neglected by the government and they don't seem to have a solution for such problem, investing in real estate in this market won't only solve the issue, but also will be extremely profitable. In 2014, South Africa's real estate market contributed to the GDP with an estimate of 1.61% with a total value of $5.11bn and 1.64% in 2017 with a total value of $9.31bn, all of which proves that real estate market in the country is an important tertiary sector for the South African economy. Steady population growth have made developers push billions in new infrastructure projects. New cities and residential projects are being planned that are expected to offer houses for thousands of residents in South Africa. These projects will offer plenty of residential units from one-, two- and three-bedroom apartments that vary in size and price. With the rise in the city's population and the increased demands for affordable and luxurious housing option, investing in a buy-to-let in South Africa is a smart move. This means that the buy-to-let market is becoming an increasingly popular property investment option around the country and a sound investment choice, particularly in bigger cities. In South Africa, data reveals that one bedroom and studio apartments have been the best-performing for over 12 years. The Western Cape province continues to outperform all other areas, with Cape Town remaining the most lucrative city in the country. The housing market there remains strong and growing for the area offers residents an attractive lifestyle and luxurious amenities that keeps attracting tenants and buyers and this phenomenon isn't going to show any signs of slowing down any time soon. When it comes to rental value, there is no limit to the amount by which a property owner can increase the rent, but all within reason and all within the specified annual increase. And if landlords see the rent is below the market, they have the right to increase the rent. What makes real estate investment a profitable one is its ongoing cycle. The need to purchase or rent smaller apartments close to work or school, will soon evolve when you start making your own family and you wish to move to a bigger and better place. This never-ending cycle works in favor of real estate investment. This cycle always leads to an ever-present demand for all types of housing, providing opportunities and benefits to the property investor. Yes! South Africa is one of the favored travel destination. The county's excellent climate, exotic wildlife and exciting landscapes makes it a perfect holiday destination. Smart travelers always know best and that is to rent out an apartment instead of staying at a fancy hotel and save extra cash. Some travelers - after experiencing the country's beauty - decided to make it their second home and start looking to rent or purchase a property. The luring exchange rates between Rand and other currencies is what makes foreign real estate investment interested in the country's real estate market. The rate of Rand has actually encouraged real estate investors from all corners of the globe to consider South Africa's real estate market as their next big leap towards being wealthy. Thanks to the low Rand rate, many foreign real estate investors are now seeing South Africa as the ideal property investment location. "Jamie Moulton is a senior content curator at JustProperty.com, a leading real estate portal in the MENA region, headquartered in Dubai, UAE." What are the elements that today's home buyers look for when buying a property? One of the number one reasons that South African consumers give for where they choose to live is security and safety. This is largely due to the sobering crime statistics along with the fact that so many families have been affected by crime in one form or another. South African home buyers are among the most security conscious consumers in the world, which has led to properties with top-end security features that are in security estates or secure neighbourhoods being among the most sought-after types of properties. He says security has become one of the most crucial influencing factors in home buying decisions. not only is the zoning a consideration, but also a convenience in that parents will have to travel to and from the school each day, unless the child attends a boarding school. Much like commuting back and forth for schooling, commuting to work is also a factor that most home buyers consider. According to Goslett, buyers often tend to try and buy property as close to their place of business as possible, as this can vastly cut down on their travel time and money spent on commuting. today’s home buyer is concerned about the quality of the neighbourhood, as more buyers are viewing property buying as long-term decisions and understand that they will live in that neighbourhood for some time. Research indicates that consumers are moving around far less than they did five years ago, so many home buyers are looking for property that will suit their needs both now and in the next 15 years when their criteria has evolved. Younger buyers often look for an extra room or space on the property that they can build onto, so that the property they buy will fulfil their needs as they develop and change with their changing life stages, he says. Although financial institutions have relaxed their lending criteria to some degree, affordability is still a massive consideration when it comes to bond approval. Affordability ratios and the percentage of deposits required from the majority of home loan applicants has had an influence on the properties that home buyers choose to buy. the rising cost of living expenses and utilities has also influenced buying decisions with more and more buyers opting for smaller, more manageable homes. This consideration is largely based on the rising cost of living. More buyers are becoming increasingly aware of their carbon footprint and their impact on the environment. Homes with energy-saving eco features such as solar panels and gas appliances are high on the list of essentials for today’s buyers, who are seeing the advantage of green features on their monthly expenses, particularly with the increasing cost of electricity, he says. Open plan living has become more and more important to today’s buyer, particularly younger generation buyers who want spaces that can be used for dual purposes. Buyers are looking for spaces that can be used for entertaining and spending quality time with family and friends. In today’s era of rapid technological advancement, high-tech has become high-priority. Many home buyers are looking for property that has integrated technology into its design, which allows the homeowner to control the home at a distance via a broadband connection. Although these features were once just for the more affluent homeowner, advancement in technology and devices that use Wi-Fi or other wireless connections have made these kinds of home features increasingly more accessible to the general public. younger generations are highly influenced by technology, which has become a part of everyone’s daily life. Home buyers are looking for a property that is well-designed and flows from one space to another. While some buyers may renovate or change certain elements of a property to suit their taste, if major transformation of a home is needed for the property to meet their needs, they are likely to go elsewhere. Participants in the Property industry need to be cognizant of the latest developments in respect of the provision of an Electric Fence System Certificate of Compliance that governs immoveable property sold with an electrical fencing system in place. Whilst it is customary for a Seller to provide an electrical compliance certificate in terms of the Occupational Health and Safety Act 85 of 1993 (the Act) a “user” of an electric fence system, in existence after the1 October 2012, is now obliged to render a certificate of compliance in respect a electric fence system, or if an alteration or addition has been made to a system installed prior to October 2012. This is an additional requirement and is separate from an electrical compliance certificate. It is envisaged that these fences will be inspected and evaluated to ensure that they are compliant. Should a fence be found to be non-compliant remedial measures will be required to be taken with the Act providing redress under criminal law in instances of electric fencing found to be illegal. The regulations relating to the change of ownership are unfortunately not as clear cut as the regulations relating to electrical compliance certificates. The regulations do not specifically state that the current user or seller is responsible for obtaining the electric fence system certificate before transfer, neither does it prohibit transfer of the immovable property from taking place without the certificate. Therefore it can only be inferred that the Seller will be responsible to provide the electric fence system certificate and will transfer it to the purchaser. Furthermore, there is no time limitation which has been placed on the validity of the electric fence system certificate so a new electric fence system certificate is not required for each subsequent transfer of the immovable property unless an addition or alteration has been effected to the electric fence system since the issue of the previous electric fence system certificate. There is a prescribed format for the electric fence system certificate and it can only be issued by a party that is registered as an electric fence system installer. When entering into an agreement of sale for the purchase of immoveable property that has an electric fence system, it is recommended that it should be a condition of such agreement that an electric fence system compliance certificate should be delivered prior to the registration of the transfer of such property. The certificate is thereafter transferable, subject to the qualification above. In respect of the transfer of ownership of a sectional title unit, where the fencing is erected on common property the Sectional Titles Act imposes a general duty on the body corporate to control, manage and administer the common property, of which such electrical system forms a part. A body corporate will be deemed a "user" in terms of the Act, and will subsequently be liable for the issuing of such certificate. When an owner therefore sells his sectional title unit, a certificate from the body corporate confirming that a compliance certificate exists in respect of the electric fence system, will suffice. Unless it is stipulated by the Agreement of Purchase and Sale, there is no obligation on the conveyancer to obtain the certificate on behalf of the purchaser, unless this is expressly agreed upon in. Conveyancers may proceed with transfer of the property unless prohibited specifically in terms of the agreement of sale. A clause in a sale agreement that places an obligation on the seller to provide the purchaser with an electric fence system certificate serves the purpose by protecting both the Seller and Purchaser by certifying the validity of such installation. Last modified: July 27 2012.